In the world of corporate finance, spreadsheets are core. Whether it’s managing a profit and loss statement or developing financial and headcount plans, spreadsheets are a daily part of a corporate finance professional’s job. 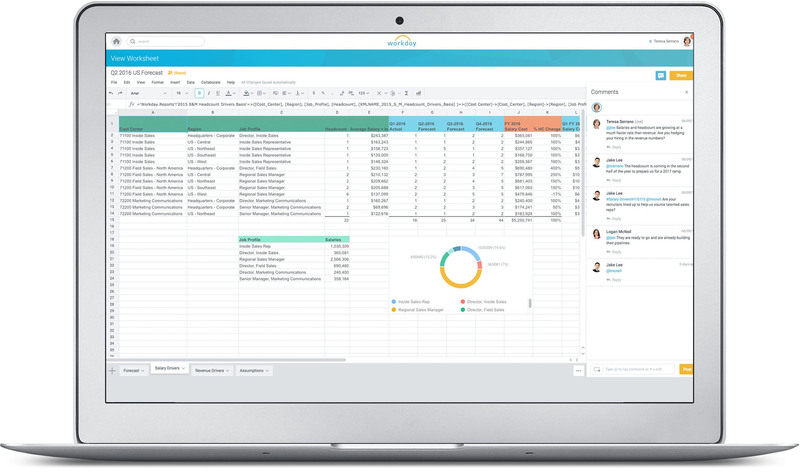 That’s why as part of Workday Planning, we introduced Workday Worksheets—a cloud-based, collaborative spreadsheet built directly into the core of Workday’s technology platform. Unlike traditional spreadsheets, users can collaborate using live data that resides in a secure enterprise environment, removing many of the headaches and security risks that exist today. At the same time, Worksheets still provides the look, feel, and functionality of spreadsheets loved by many finance professionals, supporting approximately 500 functions. Workday Worksheets support approximately 500 functions, including those our customers know and love.